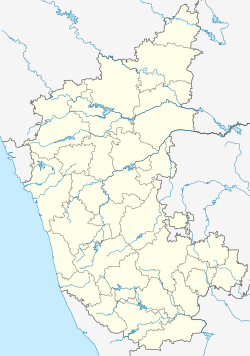 Ilkal is a medium-sized town in Bagalkot district in the Indian state of Karnataka. The town is located in a valley that lies in south-east corner of Bagalkote district and is in the borders of Bagalkot district. The town falls within the jurisdiction of ILKAL taluk and taluk headquarters.also Karadi.Aminagad Hobali villege add.Between these two towns, Ilkal is an important centre of trade, commerce, education and industry. Ilkal is well connected with state and national highways. It is also famous for its hospitality and education institutions. Ilkal is famous for handloom sarees, popularly known as Ilkal sarees. These sarees are worn by women of North Karnataka, Andhra Pradesh and Maharashtra state. The sarees made here have a distinctive pattern and are usually made from cotton. They are best suited for weather conditions prevailing in the region. Recently sarees made in Ilkal are worn by high society ladies as a fashion statement. There are many wide variety of sarees are made here with variable cotton and silk ratios. Ilkal is also famous for its red granite stone, which is exported all over the world. Ilkal is located at 15°58′N 76°08′E﻿ / ﻿15.97°N 76.13°E﻿ / 15.97; 76.13. It has an average elevation of 585 m. Ilkal is famous for pink granite (ruby red), which is exported all over the world. This City was surrounded by the levelled surface and small hills in certain directions which has an abundant resource of the granite stones. The majority of the soil found here is the rich, fertile Black soil with a semi-arid region type. Shri Vijay Mahantesh—A saint (ajja), who followed the foot prints of lord BASAVA and showed the way of living life with peace and harmony. It is believed that, he never disappoints his devotees. A temple (math or gaduge) is built in his name, by the devotees. Every year in the month of September (Shravan masa—Hindu calendar), i.e. last Monday of that month a fair is held, where a chariot decorated with flowers is being pulled by the devotees or followers of the math. A possession will be held in the evening in which a well decorated palanquin is taken around the town. Ilkal has had 2 Famous saints, 1 from Hinduism, and 1 from Islam. Hindu Saint—Shri Vijay Mahantesh—Shri Vijay Mahantesh Math. Islam Saint—hazrat Murtuza Shah Quadri. -- Murtuza Shah Quadri Dargah. The people from Ilkal are very industrious and are backed by good background of business. The main source of income is the granite business and weaving is a widespread occupation. The agricultural land is not arable, and it faces the threat of pollution because of the granite activities involved and water shortage. Hence, the agriculture provides a very little employment opportunity to the locals. Jowar, Sunflower are the major crops grown here, and the agriculture is rain dependent. As stated above, Ilkal is also famous for Ilkal sarees, which are a specific designed border. These will be dazzlingly authentic, to wear in any functions. The Ilkal pure silk saree costs anywhere between Rs.4000 and 12000, whereas an Ilkal chamka (alternate thread of cotton and silk) saree costs somewhere between 600 and 2000. Most of the handloom weaving culture is replaced by the powerloom weaving styles and the industry is gradually dwindling because of competitions, lack of creative skills and innovations and lack of support. The main competitor for the industry is Gajendagad. The granite brings in a lot of revenue and the business is well established. The quarries and mines nearby are excavated for the raw stone, processed and polished and marketed. It is an important export commodity from the place and the town has welcomed an immense urbanization from the states as far as Rajasthan and Orissa. Nearby villages like Hoolageri have been widely benefitted and influenced and it is a main form of employment for the people of the regions. Important products include ruby red and Ilkal chocolate. Ilkal is verities of granites (color & size) available around the city. Like A famous Rube Red, Mudagal gray, Pink, cat eyes, Himalayan blue, kadur gray, kadur red granite and many more shades. lot of Granite manufacture and trader in domestic as well as exporter in Ilkal. ^ "Census of India 2011: Data from the 2011 Census, including cities, villages and towns (Provisional)". Census Commission of India. Archived from the original on 16 June 2004. Retrieved 1 November 2008.